Are you a small business that uses multiple SaaS apps to streamline processes? Zapier is definitely a useful tool to synchronise and integrate apps. The building block of Zapier starts with Zaps – conditional connection which is triggered when a certain event occurs. If This Then That is a popular automation service for small tasks between Internet-connected services. The basic idea behind IFTTT is to automate everything from your favourite apps and websites to app-enabled accessories and smart devices. You could use IFTTT to automatically post on social media every time you publish a new post and switch on your smart lighting system as well. There are numerous combinations (recipes) on IFTTT that makes app connectivity easier. It currently supports more than 110 services (channels) including Android devices and Apple iOS apps like Reminders and Photos, along with websites like Facebook, Instagram, Flickr, Tumblr, Google and more. Automate.io helps you create one-to-one integrations and multi-app workflows swiftly. For instance, you can create and send invoices automatically, track payment, send auto-reminders and initiate the post-purchase actions of an eCommerce transaction.The basic plan starts from $0 with 5 bots and 250 actions per month. Support for Gmail, Typeform, Facebook, Hubspot, Xero, Slack, Intercom, Trello, Twitter and more. From posting on Trello boards automatically to getting daily Google Analytics reports in Slack, Integromat offers ready-to-use integrations for numerous use cases. Everything from social media and project management to customer support, marketing, sales and much more can benefit from these automation. The starter plan costs $0 with 100 MB data transfer and 1,000 operations. Recently Forrester Research named Workato a leader in Integration Platform-as-a-Service (iPaaS), and rightfully so. It uses a very simple and straightforward interface with drag and drop functionality, to help user connect applications easily with multi-step workflows. Currently it offers housands of pre-built integration flows between 75 most popular apps (Zendesk, Slack, Box, Marketo, Quickbase, Google Sheets, Docusign and more). 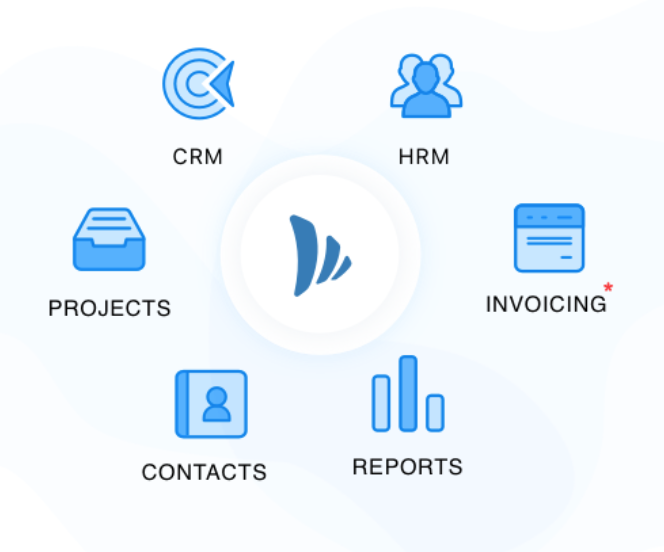 This Belgium-based startup PieSync offers a platform that connects a plethora of cloud applications and provides two-way real-time contact syncing in those apps. The basic plan starts from $5 per month with 1 connection and support for 1000 contacts. Currently it integrates 50+ apps including Shopify, Google Contacts, Office 365, Campaign Monitor, Intercom, MailChimp and more. It synchronises and transforms data between multiple cloud apps and legacy applications. Its IPAAS offering specializes in system integration. Data can be mapped and transformed in near real time between multiple applications enabling businesses to take advantage of real time decision making. The starter plan comes with $25.00 per month with 900 transactions and 2.5 GB data. Connections include applications like SAP ERP, Megento, WooCommerce, MailChimp, Open Office, Quickbooks, BigCommerce and much more. OnceSaas connects business apps like Quickbooks, Xero, FreshBooks, BigCommerce, Shopify, eBay, Eventbrite etc. Spread of integration covers accounting, ecommerce, billing & invoicing, CRM, fulfillment, inventory management and email marketing. The basic plan starts with $29 per month for 300 transactions offering 1 accounting app, 2 ecommerce/billing & invoicing apps and 1 fulfillment app. Microsoft Flow focused on integrations with Microsoft’s own business tools, like Office 365, Dynamics CRM, PowerApps, and Yammer, as well as those that are used in organizations, like MailChip, GitHub, Salesforce, Slack, and others. It can used in common scenarios like getting a text message whenever your team lead emails you, saving the results of a Twitter search to an Excel file, copying files from OneDrive to SharePoint and more. While the Android app is still work in progress, the iOS app has already been rolled out. It offers Infrastructure Platform as a Service (iPaaS) to integrate apps and automate multi-step workflows. Within this solution there are two offerings – flow express for business users and flow enterprise for technical teams. The subscription starts with $29 per month and integrates services like Salesforce and Marketo. Skyvia offers wizard-based data integration and synchronisation services spanning across apps like Amazon RDS, Box, Dropbox, Google Drive, MySQL, Salesforce, FreshBooks, QuickBooks, Shopify, Magento and more. The starter plan comes free of cost with support for 5k records, 100k CSV import/export and once per day scheduling. Thanks for the list of alternatives. Zapier is dominating the market and it’s pretty understandable why – they have a large ecosystem and their platform is making it easier for developers to use. I have a number of triggers I use for my web development projects but it’s good to see some healthy competition in the automation space.